Welcome to the world of Atal Infratech family and we are thankful to all those prestigious people who have been visiting our website. Without your distinguished presence we could not have ever imagined to fulfill our dream projects. We invite your expert opinion and suggestions regarding our upcoming projects. 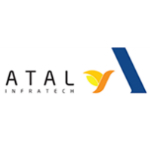 Atal Infratech is committed to excellence in all that we do. We at Atal Infratech believe in on-time delivery of projects undertaken with the highest of the quality and with best state-of-art technology which results in the best value proportion for our esteemed clientship. We have been engaged in the promotion of Residential, Commercial and Industrial projects, across the emerging market globally. We are committed towards providing end-to-end real estate services and solutions.